And it's banana pudding no less. You won't have to think too hard about pudding this in your mouth. Bake cakes: Preheat oven to 350°. Line two 8” cake pans with parchment paper and grease with nonstick cooking spray. Prepare cake batter according to package instructions. Divide between prepared cake pans and bake until a toothpick inserted into the center comes out clean, about 30 minutes. Let cool in pans for 10 minutes, then invert onto cooling racks to cool completely. Make ice cream layer: In a stand mixer fitted with the whisk attachment, beat cream until stiff peaks form. Fold in pudding mix, sweetened condensed milk, vanilla, crushed Nilla wafers, and about two-thirds of the bananas. Assemble cake: Add one cake layer to your serving platter. 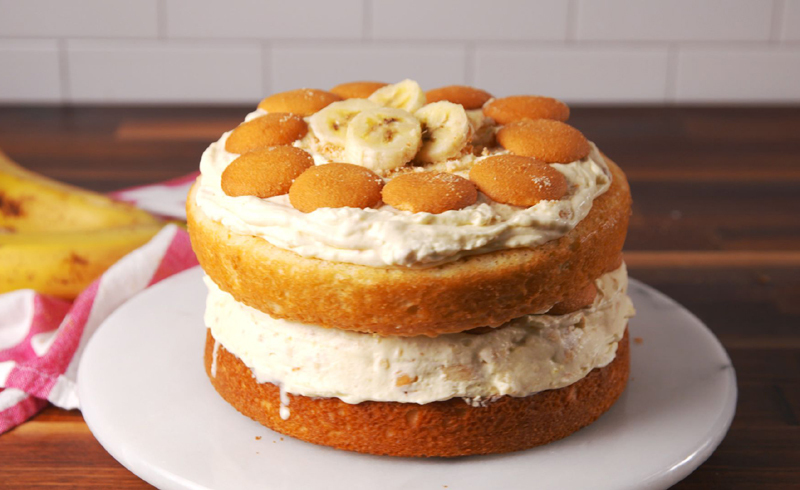 Spread about half of the ice cream mixture onto the cake, then top with a layer of whole Nilla Wafers. Top with the second cake layer, then spread the remaining ice cream mixture on top. 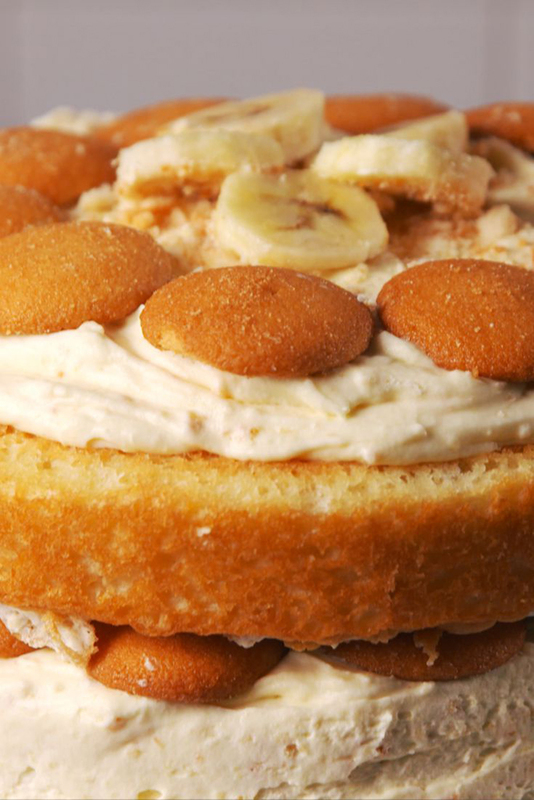 Garnish with more crushed Nilla Wafers, whole Nilla Wafers, and banana slices. Freeze until the ice cream is firm, about 4 hours.